Urban Legend Chocolate Chip Cookies-Chocolate chip cookies with extra chocolate make for a delicious cookie. 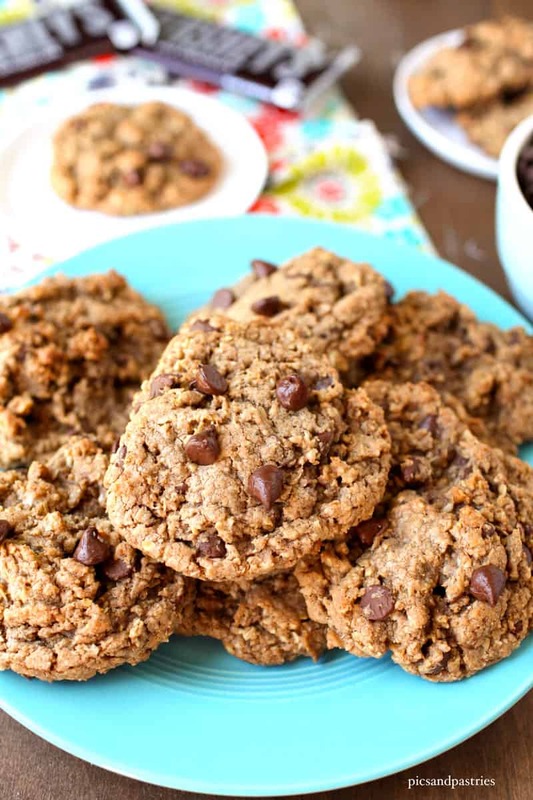 I’m a firm believer that you can never have too many chocolate chip cookie recipes. In fact, I have another recipe for chocolate chip cookies I am sharing soon. For now, lets focus on these urban legend chocolate chip cookies tough. These cookies take me back to the days of attending RLC, a community college a few miles outside of our hometown. I have a bachelors degree in special education but I took what seemed like a lot of extra English classes to be able to teach English and social studies to middle school general ed. students in addition to special education. There’s a tidbit you may now know about me. 🙂 While taking all those English classes I had one instructor for a lot of those classes and she use to work at a bakery. On occasion she would make these insanely delicious cookies and share them with her students…or take them to an English event and bribe us to attend by having her cookies there. Anyways, they are delicious and I misplaced the recipe she gave me years ago so I looked her up on the college’s directory, sent her an email and got the cookie recipe. YAY! These cookies not only use chocolate morsels but Hershey’s chocolate bars as well! Like I said, sooo good! Cream butter, and sugars together until creamy. About 20-30 seconds. Add eggs one at a time and blend. In a separate bowl mix: flour, salt, powdered oats, baking soda and baking powder. Slowly add flour mixture to butter mixture, mixing after each addition. Add chocolate chips and nuts and mix. Melt Hershey's bars and slowly pour mixture into cookie dough and mix. Form dough into balls and place on an uncreased cookie sheet, two inches apart. Allow to rest on cookie sheet for a minute and then cool on wired rack. Depending on the size of your cookies you may need to let them bake longer or instantly remove from baking sheet once out of oven so they won't continue to bake. I made my cookies a little bigger and baked them about 12-14 minutes. I allowed them to sit on the baking sheet for a minute and then placed on cooling rack. If your cookies are about a tablespoon and a half in size then 8-10 minutes should be enough time to bake.